Hello All! 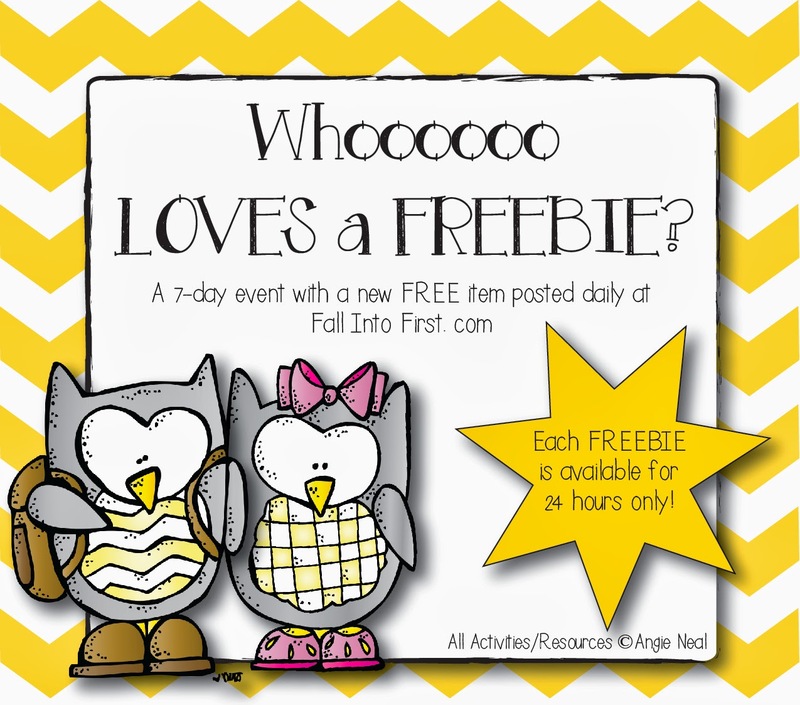 Hope you are back for another FREEBIE Owl item! During my PD time this weekend about exemplar text we spent time yesterday learning about Tier 2 and 3 vocabulary words and the importance of direct and explicit vocab instruction - another reason I LOVE Gail Gibbons books. I found this article that shares the importance of academic vocab and I thought I would share because these few sentences speak volumes to me about the importance of teaching vocab. The Common Core State Standards place an importance on academic vocabulary. In addition to developing an advanced vocabulary, the CCSS calls for increasing the amount of nonfiction and informational text in classrooms. We know that vocabulary knowledge influences fluency, comprehension, and student achievement. And, vocabulary plays an even more important role in understanding nonfiction and informational text. It has been estimated that 80% of comprehension in nonfiction is dependent upon understanding the vocabulary. To work with some of the Tier 3 vocabulary in Gibbons book Owls I created a fun book/craftivity. 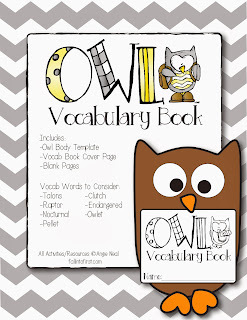 Students can use this to focus on some of the vocab words such as: talons, raptor, nocturnal, pellet, clutch, endangered, owlets, etc.... Students can write each vocab word, draw a picture and write the meaning of each word on the pages provided. Students will then be able to use this book as reference throughout the unit. You can get this activitie for FREE for the next 24 hours only! At the end of the week, I will put all the items in a packet on TpT. 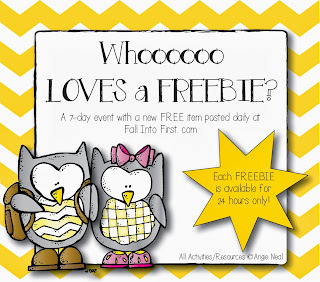 (If you become a follower of my TpT store you will be notified each day as I post the freebie.) Happy Tuesday everyone!